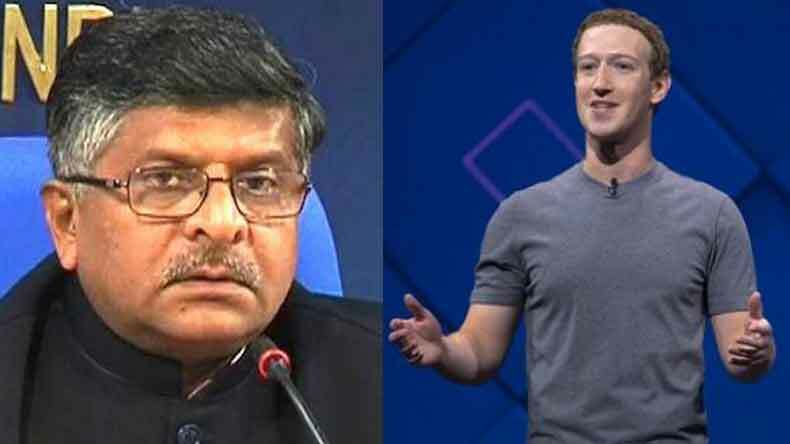 The Union Minister for Law & Justice, Information Technology Ravi Shankar Prasad on Wednesday while addressing a press conference on data theft issue warned and threatened social networking site Facebook CEO Mark Zuckerberg that he could be even summoned to India if any data theft of Indians is done with the collusion of Facebook systems. The Union Minister for Law & Justice, Information Technology Ravi Shankar Prasad on Wednesday while addressing a press conference on data theft issue warned and threatened social networking site Facebook CEO Mark Zuckerberg that he could be even summoned to India if any data theft of Indians is done with the collusion of Facebook systems. “Mr Mark Zuckerberg you better know the observation of IT Minister of India, if any data theft of Indians is done with the collusion of FB systems, it will not be tolerated. We have got stringent powers in the IT Act including summoning you in India,” Ravi Shankar Prasad said in a press conference today. “We support free exchange of ideas on social media but any attempt by social media including FB of trying to influence India’s electoral process through undesirable means will not be tolerated. Let Facebook note it very clearly,” Ravi Shankar Prasad said while clearing government’s firm stand on rules and regulations in regard to the concerned issue. According to reports, Law and IT minister’s stern message to Facebook CEO has come after Britain’s Channel 4 alleged New York based data analytics firm Cambridge Analytica (CA) harvested private data of Facebook users in 2014 to influence elections in several countries in 2014. During the press conference, the Union Law and IT Minister also hit out at the Congress and asked the party that how much data of Indians was shared with Cambridge Analytica’s CEO. As there are serious allegations of data theft against this company in USA, England. Company boasts of having influenced elections in Nigeria, Kenya, Brazil, also in India. The Union Minister further went on and said, “Will Congress party depend on data theft and manipulation to win elections? What is the role of Cambridge Analytica in social media profile of Rahul Gandhi?